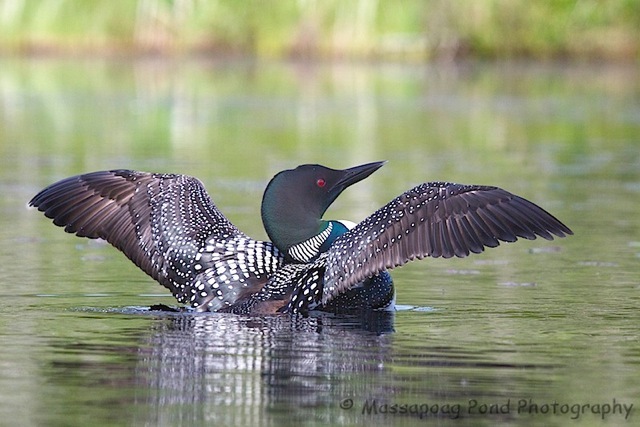 Evening folks…just got back from a quick trip to NH to photograph the Black-backed Woodpeckers nest and for a bit of scouting for sows with cubs and loons. The Black-back babies are just starting to show themselves, plenty of bears, I just never found any with clubs and as always the loons were fun…..
Also of note was an otter family of one adult and two young ones. Then on my way home today I saw one of the largest bull moose I have ever seen! Otter 1 adult 2 kits…photographs but you'll never see them…..
Hen Wood-duck with many ducklings. Numerous other tweedy birds but surprising very little other water fowl. Lupine are in full bloom and well as many other wildflowers. 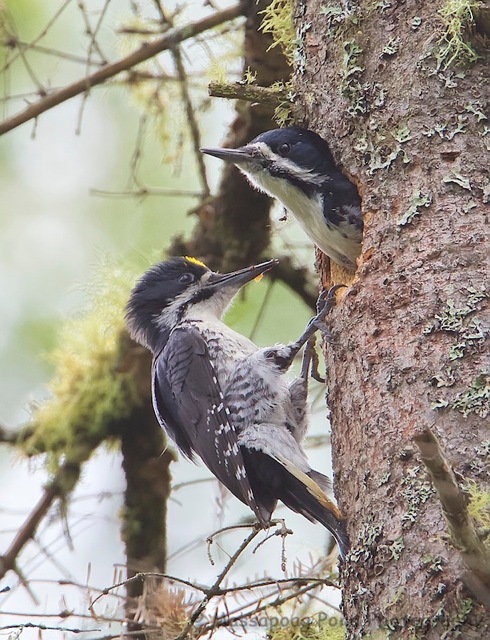 Morning folks…the woodpecker I posted last night on Facebook was indeed a male Hairy Woodpecker. 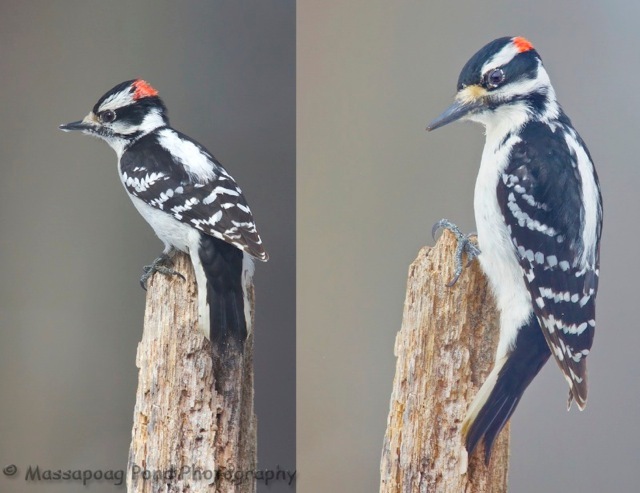 This is a composite image of both a Downy and Hairy woodpeckers on the same perch taken yesterday morning 30 minutes apart with the same crop factor. As many noted a Downy is smaller and with a shorter beak. Indeed they are difficult to ID at a distance. We've had a pair of both feeding at the pond all winter, along with a pair of Red Bellied Woodpeckers.